Want more from your Bible study? You don’t need a theology background, or any knowledge of Greek or Hebrew. 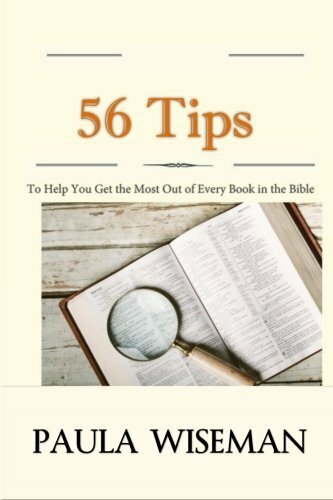 In a compact format, 56 Tips gives background notes, keywords, things to look for, and questions to consider for each book of the Bible. Grab your Bible and your notebook and get ready. You’re about to be amazed by how much truth you’ll discover for yourself. Whether you are a beginner or long-time student of Scripture, 56 Tips To Help You Get the Most Out of Every Book in the Bible will provide a framework for your personal study time.